As character sketches go you don’t get any better. Chuck is a bad luck magnet. Chuck is a broken mirror with an hourly rate. Hire Chuck and the fix isn’t just in, the fix is in person. You call Chuck in when you want something broken and Chuck gets well paid for the work. Until, inevitably, the wrong things gets broken for the wrong reasons. Lela Gwenn’s script hits the ground running and does so in that unique spot where noirish doesn’t feel performative and banter doesn’t read as snarky. Chuck has a fantastic reason, a whole nest of them in fact, for being standoffish and Gwenn has a ton of fun playing with that. Chuck’s exceptional at their job, but not so great with people and the consequences which ensue are used to cleverly build the world out. Firstly in the ways Chuck is manipulated and then in the ways Chuck is hunted. Bad luck is a commodity and everyone wants a piece. Or to put the cuffs on. Or maybe both. 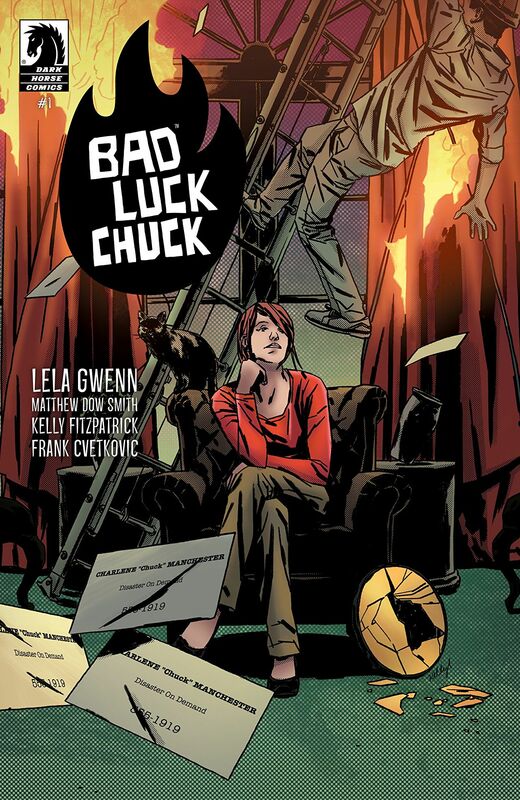 In one issue, Gwenn expertly sets up a world where bad luck is good business and shows us what happens when bad luck, good business and greed collide. And, from the opening gag to the closing sting, it is SO much fun. It’s also got perfect tonal pitch. Gwenn writes with a snap and precision that’s as natural as it is entertaining and the art team pick up everything she puts down. Matthew Dow Smith is one of the great overlooked artists of his generation and his work here is just a rain and neon slicked delight. Thick shadows, Chuck’s perpetually scruffy hair, sudden explosions of violence. They’re all sketched out in the caffeine-starved grace of a late night diner and with all the crumpled style of the people sitting there who know they shouldn’t be. That cements the tone of Gwenn’s script perfectly and the character work in particular is grounded and subtle in a way that really ties the book together. Letterers and colorists don’t get close to enough love in reviews and this book is the platonic ideal of why. 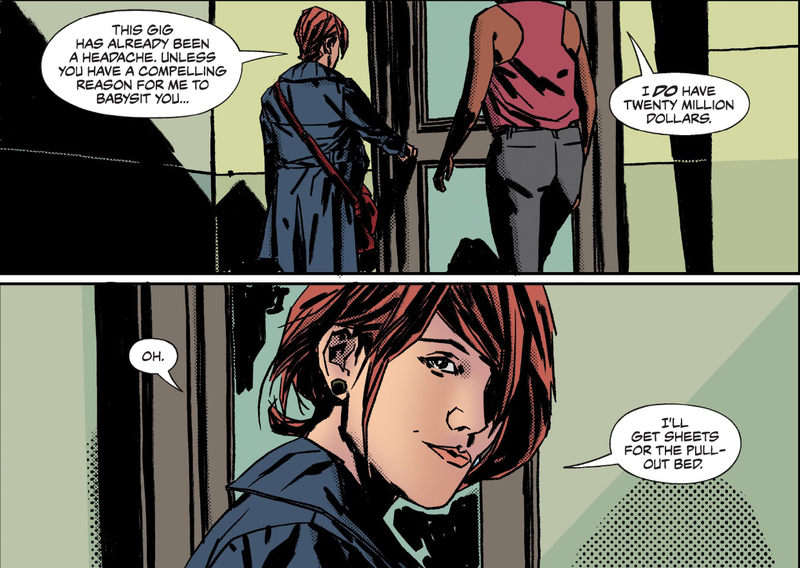 Kelly Fitzpatrick’s color work here is a massive part of setting the book’s mood and dropping hints about what’s going on. Everything here is here for a reason, whether it’s the red top that marks Chuck out as something or someone different or the orange shift every time Chuck’s powers activate the book has a completeness and tight structure that’s never less than impressive. Frank Cvetkovic’s letters are the icing on the cake here and key to delivering the script to page successfully. Wildly different speech patterns resonate and bounce off another, jokes live in the silent moments between panels. The characters talk like we talk, wild eccentricity and formality rolling over one another and all of it easy to follow. 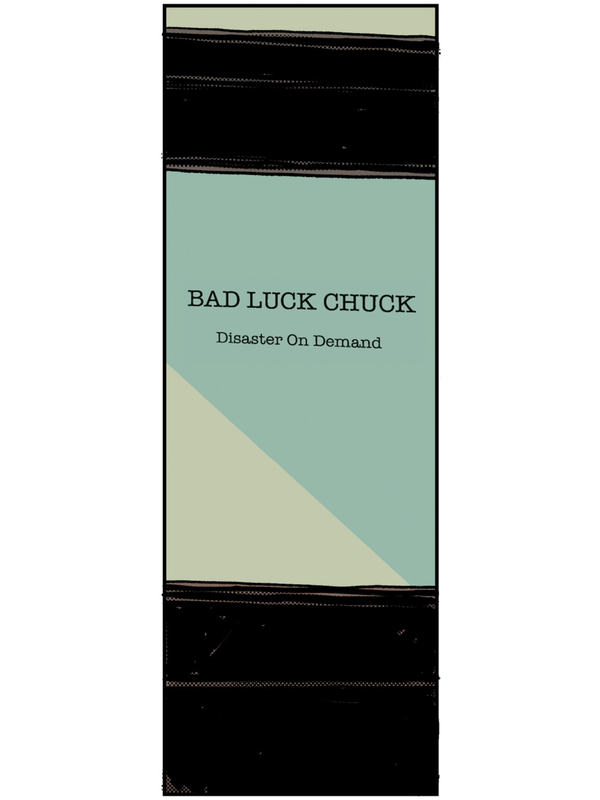 Bad Luck Chuck is a textbook example of how to do everything right. A great premise, a great script, note perfect art and a brilliant finish. If you’re looking for your new favorite urban fantasy series, then while Chuck’s luck may be out, yours is most definitely in.